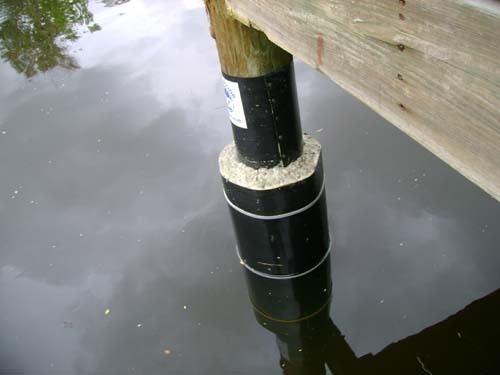 When your timber piling is already eaten away from marine wood borer we can still save and reinforce this pilings. 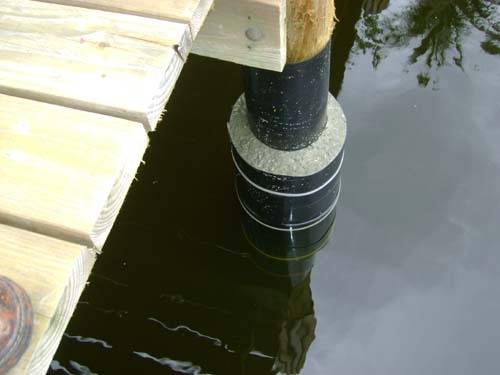 With our Piling Reinforcement System we have proven over decades we are able to save your pilings with a minimum of cost for replacing a piling. 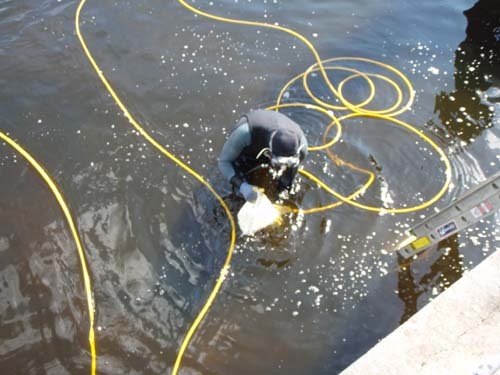 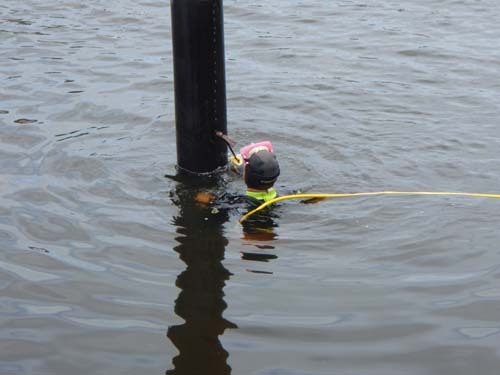 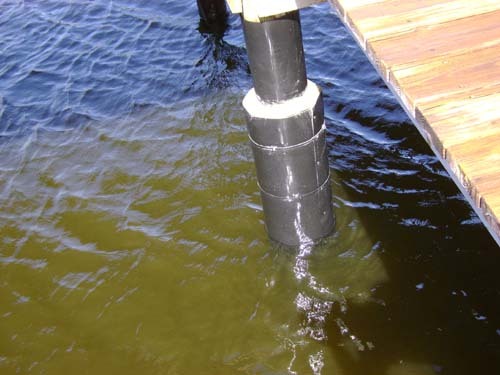 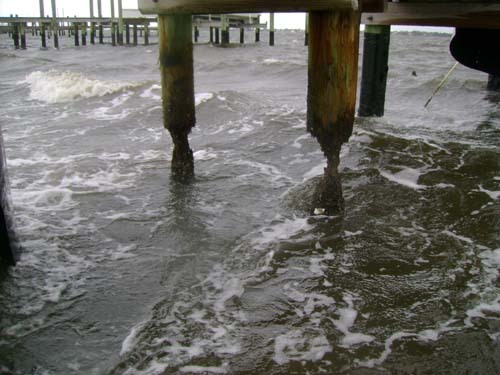 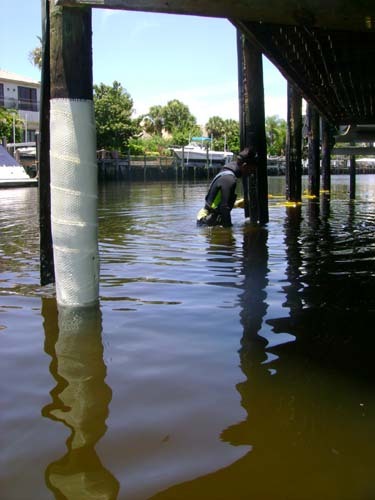 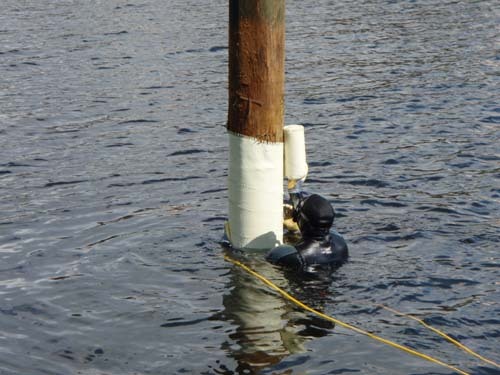 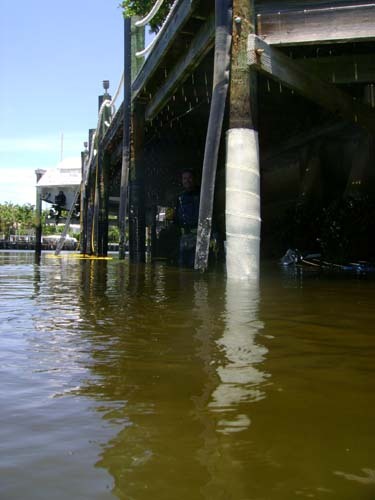 All Around Docks has many years of experience with repair and reinforced pilings. 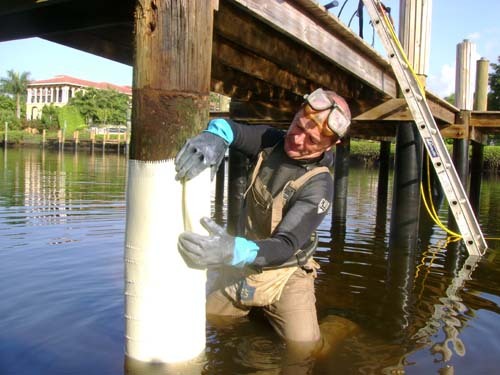 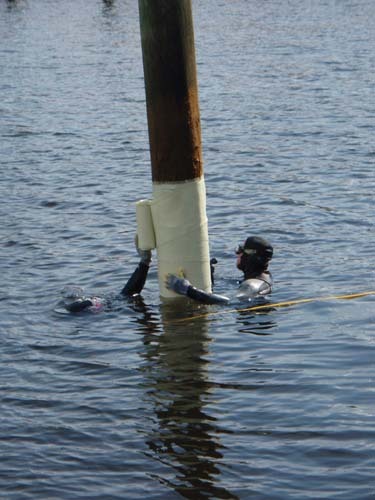 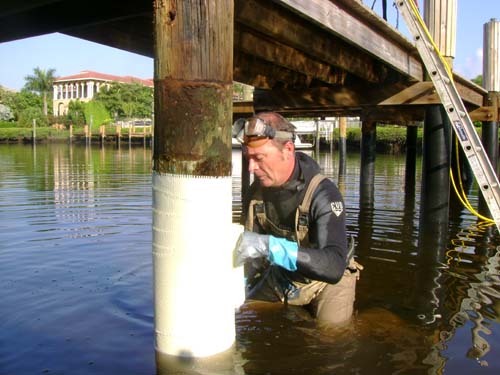 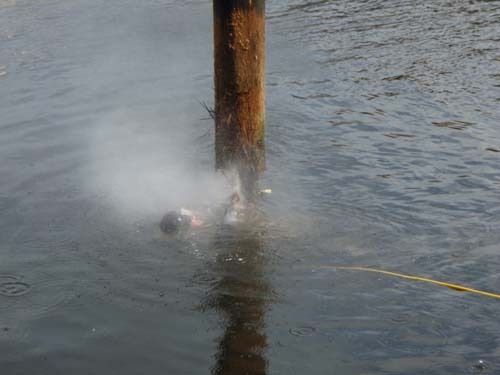 We saved thousands of pilings since 1995. 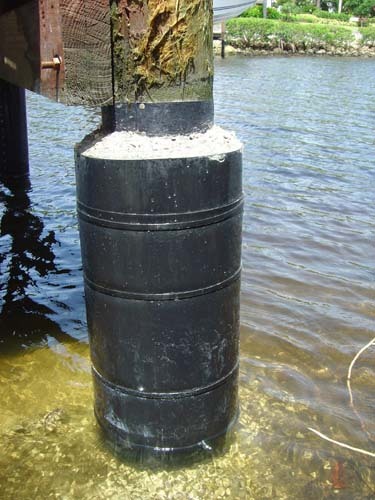 We are proud to say it’s the best working reinforcement for pilings with concrete. 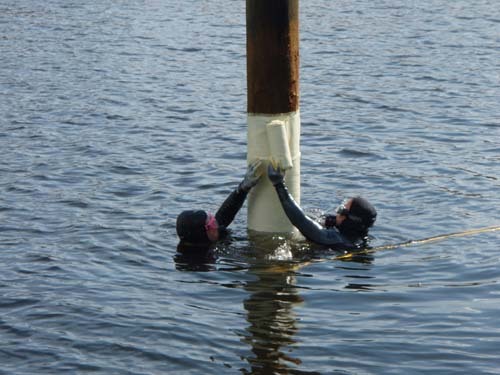 If you have just one piling or a whole marina we will have the right answer for your project. 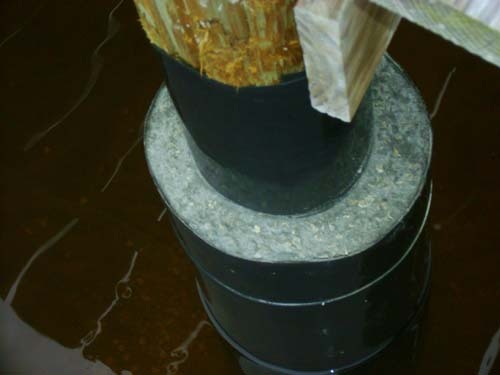 Our newest development is a high strength composite repair. 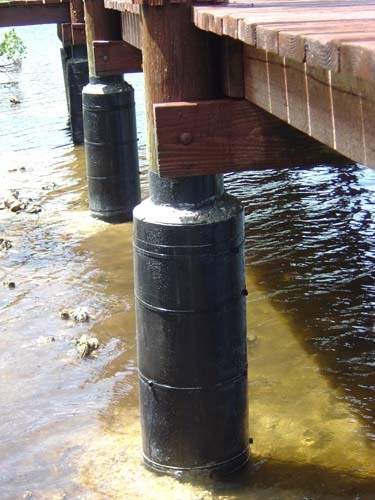 After years of research and testing we are proud to offer a long term high strength permanent repair for wood, concrete and steel pilings. 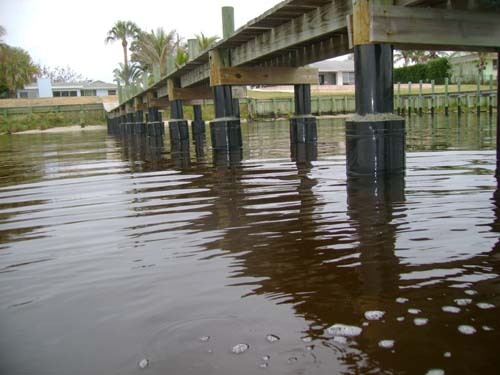 We work together with the industry leader who produce this material for our requirements. 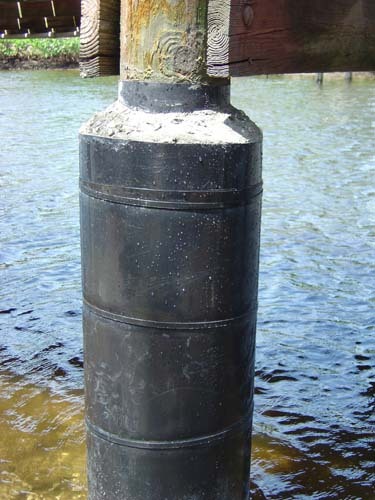 This repair has some benefits compared to the Piling Reinforcement System with concrete. 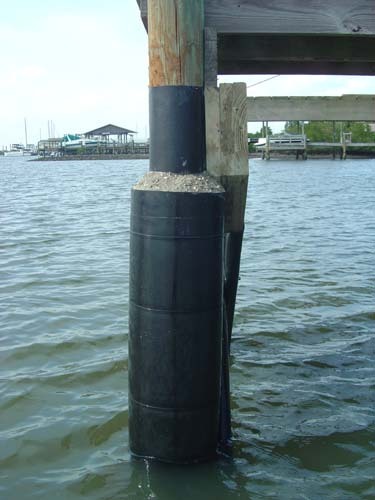 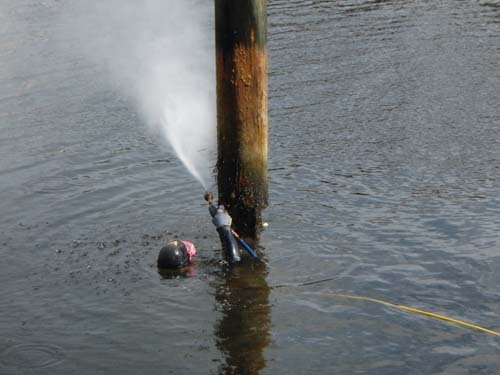 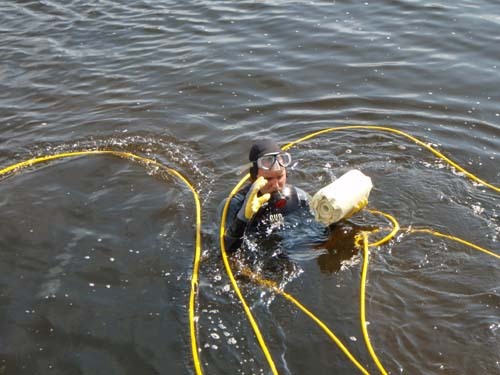 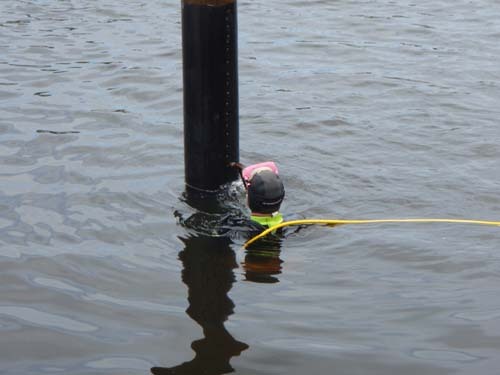 With our HSP repair we can bring back your pilings to original load as new ones. 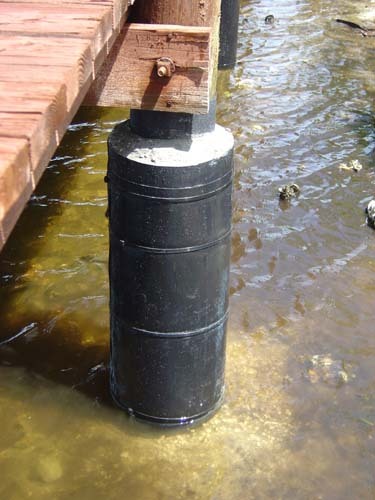 It is a high strength permanent repair and protection. 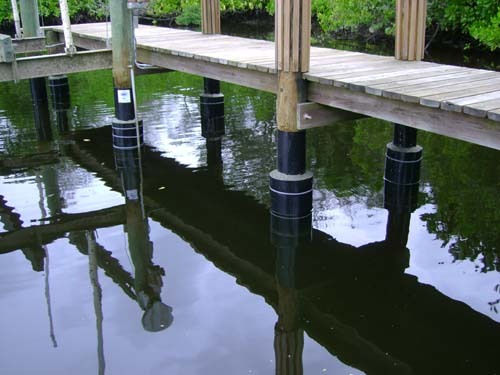 All Around Docks will provide you first class work at competive prices.